Egypt's Meteorological Authority expects dusty wind to continue in the country on Wednesday. 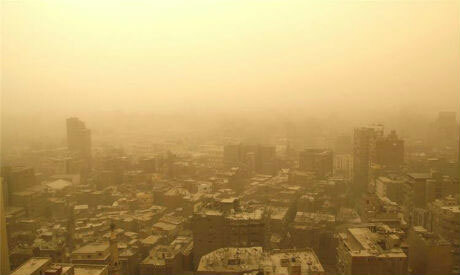 Egypt has been witnessing dusty winds, rain and extremely cold weather since the beginning of this week. The EMA said that dusty wind may reach the level of a storm in the Sinai Peninsula and Suez Canal cities. Rain may extend from the country's North Coast to reach Cairo and the Nile Delta governorates, the EMA said. Meanwhile, the Alexandria Port Authority has said that two major Mediterranean ports have been closed due to bad weather for the third consecutive day. The Alexandria and Dekheila ports were shut down on Tuesday after a rise in wave height and an increase in wind speed that could pose problems to maritime navigation.